爱知世博会主题曲- 传播学百科网 传播学百科网-www.chuanboxue.org - Powered by HDWiki! 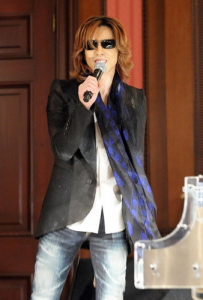 The official song is "I'll Be Your Love," which was produced by YOSHIKI, a former member of the rock group X Japan. DAHLIA will perform the song. Processed in 1.912463 second(s), 17 queries.